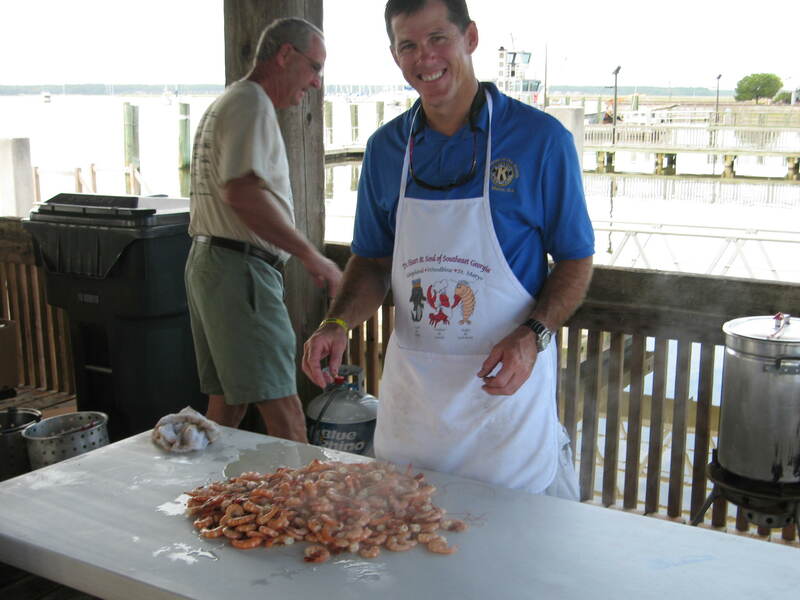 Every year St. Marys hosts the Rock Shrimp Festival on the first Saturday in October. This year on October 1, 2011, it will be the 39th annual festival. The festival is all about our special rock shrimp found in the coastal waters of Georgia. With the St. Marys Kiwanis Club sponsoring this event, we look forward to food, games, entertainment, vendors and so much more. Bring the whole family and experience this fun filled festival that only St. Marys has to offer. Events for the festival include a pancake breakfast from 7:30 to 9:30am, the 5k and 10k run will also start at 7:30am, the parade starts at 10:00am, and of course the Rock Shrimp dinner plates will be served from 11:00am to 5:00pm. The rock shrimp dinners not only include the rock shrimp but they also have regular shrimp, fish, cole slaw and hushpuppies made from a “secret” recipe. To buy tickets in advance for the pancake breakfast or the dinner plates, you can go to any of the following: St. Marys welcome center, Kingsland visitor center, St. Marys Economic Building, Camden Printing, Tribune & Georgian and Once Upon a Bookseller, or from members of the Kiwanis Club of St. Marys. If you are interested in filling out an application for the run , click here. Along with the parade at 10:00am, there will be entertainment at the waterfront park and throughout the festival. Vendors line the streets of downtown St. Marys with a wonderful variety from arts and crafts to specialty items and also our little shops here in the village are always fun to visit. The food at any festival is delicious but to add the rock shrimp dinners, it’s like a true southeastern Georgia festival made complete. This is a great way to spend your first Saturday in October, the beginning of fall. Not only do you get to enjoy the Rock Shrimp Festival but you also get involved with the community and see what makes St. Marys so special. All proceeds from the festival will go to the funding for the children’s programs and other programs that the Kiwanis Club sponsors, such as the Thanksgiving baskets that are put together and presented to families in need or gifts at Christmas time for children in the community. Come one, come all for a delightful day!